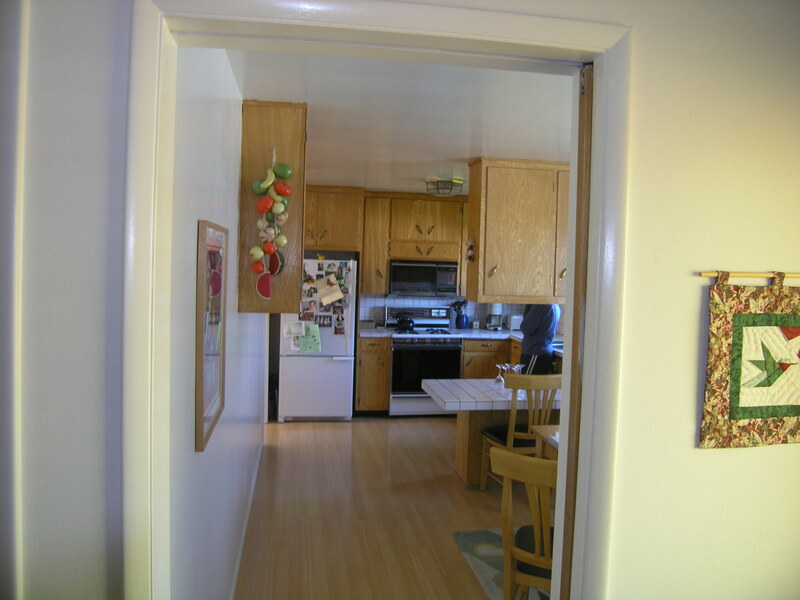 Starting with a dated (1960’s) kitchen and ending with a up-to-date kitchen/dining area was the objective so, with the help of Mrs. Stiles, I Designed a kitchen that suited her wishes and also created a more open, modern feel. 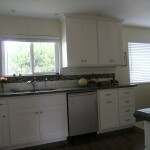 I suggested that we eliminate the eating bar and upper cabinets that divided the kitchen and dining area. This allowed us to increase the base cabinets to include a space for a dishwasher and a pull out waste unit on the sink wall and added more useable counter top area. 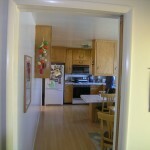 It also allowed for a Buffet cabinet on the opposite wall. 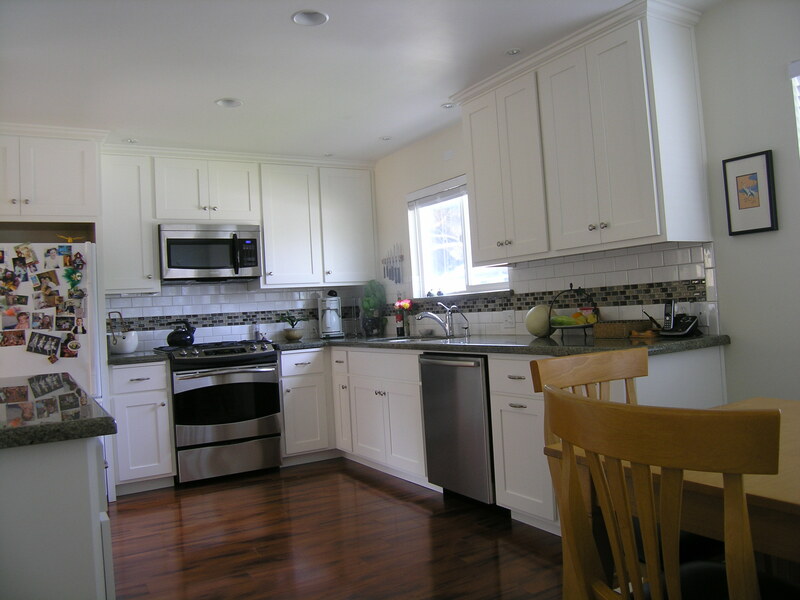 Working with Ken Roberts, who built and installed the cabinets, we were able to provide old (pull out cutting boards) and modern features, such as full extension roll out drawers, a base waste basket cabinet and a glass door in the center buffet upper unit. 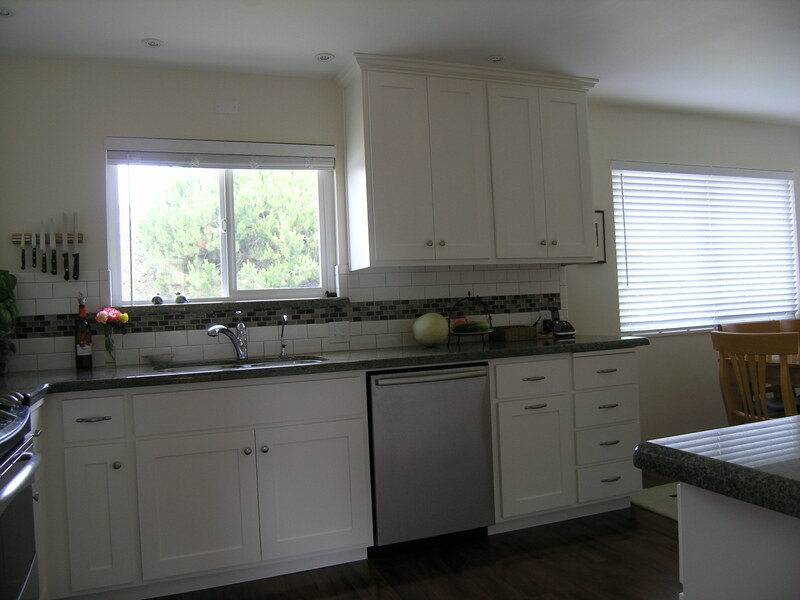 Mission Tile and Stone provided a simple but effective tile backsplash that defined the granite countertops, thus enhancing the total transformational outcome. Task lighting was added to cover all the work areas and additional general lighting was added to fill in if necessary, the results are stunning. 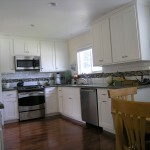 New Cabinets,appliances and granite tops with tile back splash.